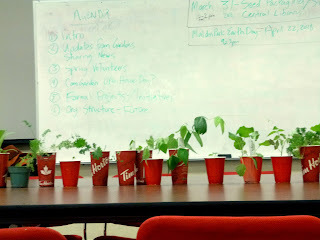 A network of Community Gardens and Urban Agriculture Projects located in Windsor and Essex County. The Downtown Windsor Community Collaborative is partnering with Windsor residents and institutions to create a "butterflyway" downtown Windsor! A butterflyway is a neighbourhood-scale corridor of habitat for butterflies, bees and beneficial insects. 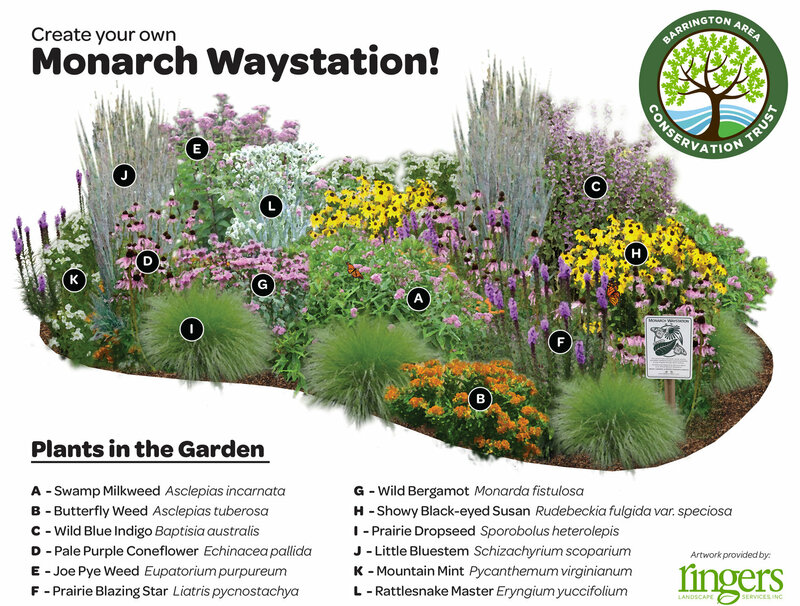 These habitats are being created in the form of butterfly gardens, each certified as a "Monarch Waystation" by the organization Monarch Watch. This butterflyway is important because some of our native bees and butterflies, like the Monarch butterfly, have become endangered due to loss of habitat. Butterfly gardens are also beautiful and vibrant additions to the neighbourhood! Our short term goal is to help create a dozen butterfly gardens within our project area, in order to become recognized by the David Suzuki Foundation. Want to join the butterflyway? 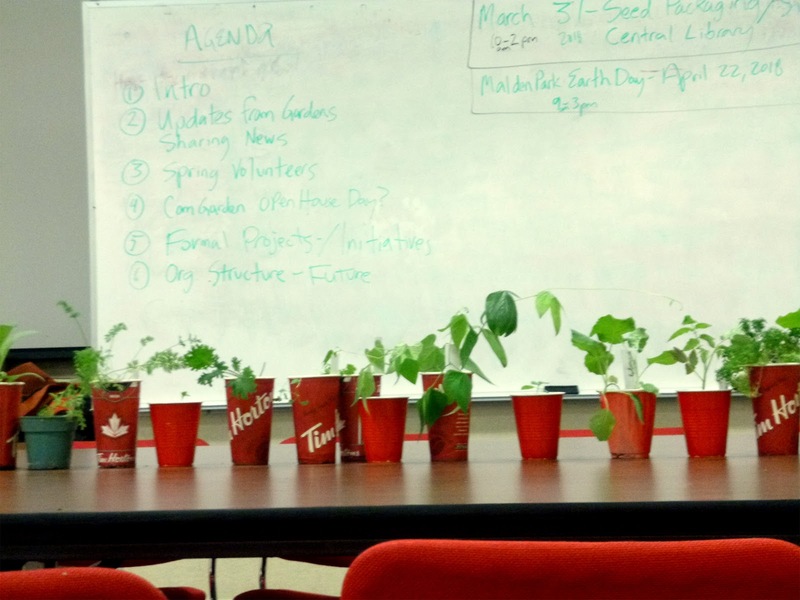 You can plant a butterfly garden in your yard and the Downtown Windsor Community Collaborative can help. Contact sarah@dwcc.ca. Following is map of our habitats; some are new and in-development while others are thriving already. "Gardening for Butterflies & Other Beneficial Insects"
Join knowledgeable volunteers from the Windsor/ Essex County Community Garden Collective and learn all about what you can do in your "back yard"! 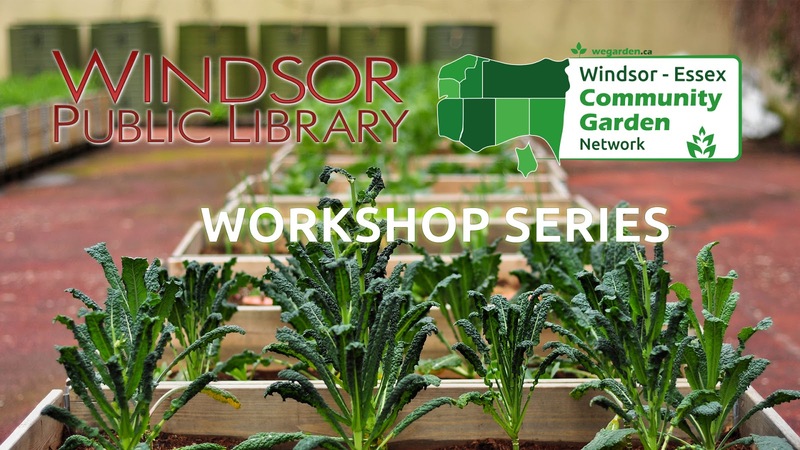 Our 2018 Windsor Public Library Workshop Series is sure to make your experience growing and cultivating a better. No registration is necessary in order to attend. Just bring your self and your curiosity! Check out the series' Facebook Event here. 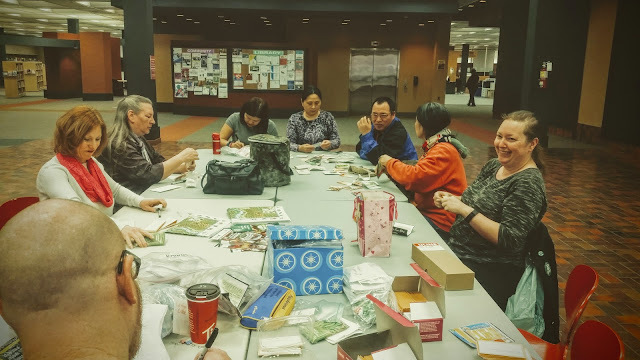 Thanks to everyone who came out to the Windsor Public Library Central branch on Saturday to help us prepare the branch's Seed Library seed stock for the year. We are always looking for more seeds; so if you have any to share, please let us know! 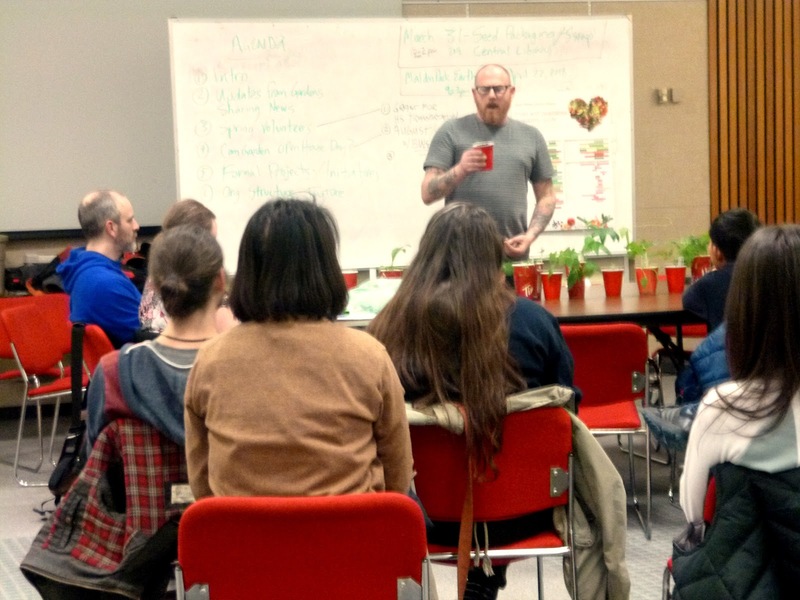 The WECCGC Spring Meeting was held on Tuesday, March 6 at the Windsor Public Library Central branch, followed by a workshop conducted by our own Steve Green. Steve talked our friends through the process of starting your vegetable garden plants from seed with a great Q & A afterwards. We had both novices and experienced gardeners in the house and had a wonderful time talking about how we can all take simple, frugal steps towards greatly improving our health and well-being. We have compiled a list of books - available now from the Windsor Public Library - that are great resources for learning more about seed saving and starting your plants from seed. If you have any suggestions for books either at the Windsor Public Library or available elsewhere, please drop us a line and let us know! WECCGC by Robert Ross is licensed under a Creative Commons License. (c) 2016 Windsor/ Essex County Community Garden Collective. Simple theme. Powered by Blogger.